This 8-Pin EPS extension cable originates from the Nanoxia sleeved cable series. The cable is 30cm long and the individual wires are covered with black nylon braided sleeves. 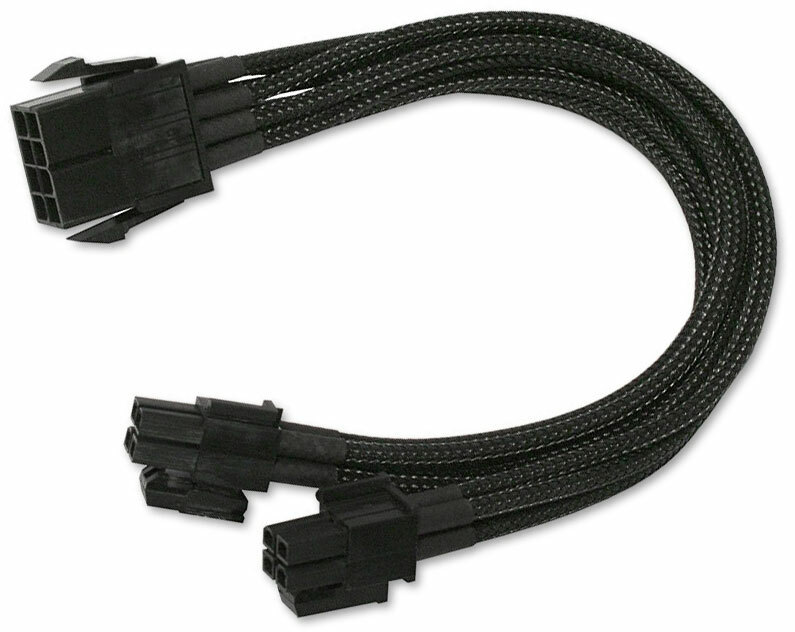 This type of PSU extension is used to extend the 8-pin EPS cable from the PSU to the motherboard and is ideal for use in large PC cases where the standard PSU lead may not reach the 8-pin EPS motherboard connector.